A recent poll shows shortbread is the most popular cookie of the holiday season. There are some solid reasons for this: it’s easy to make, it takes few ingredients, people love its buttery and ultra-tender texture, it requires no particular baking skill (even the most novice baker can master it), and it is infinitely versatile. 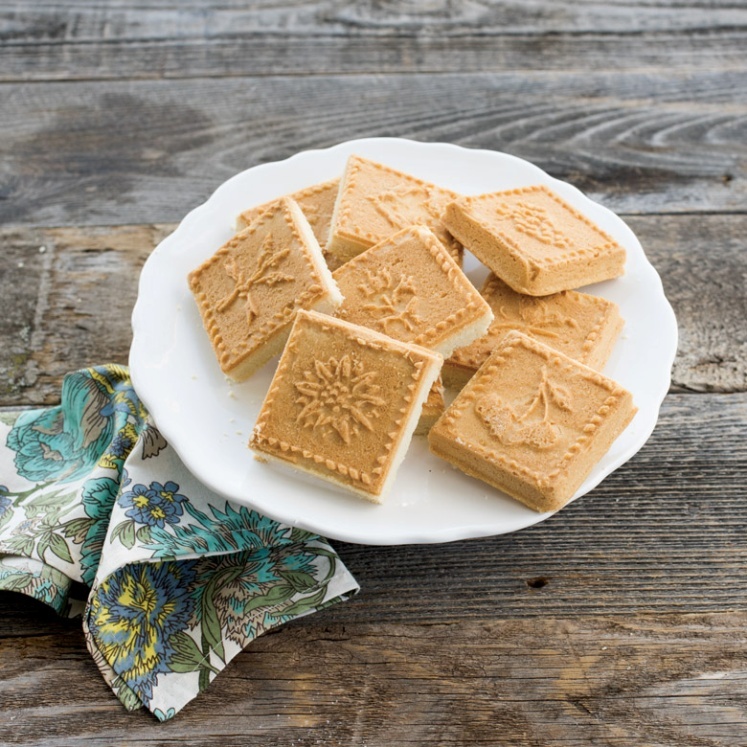 VERSATILE because shortbread takes on any form and any number of ingredients. 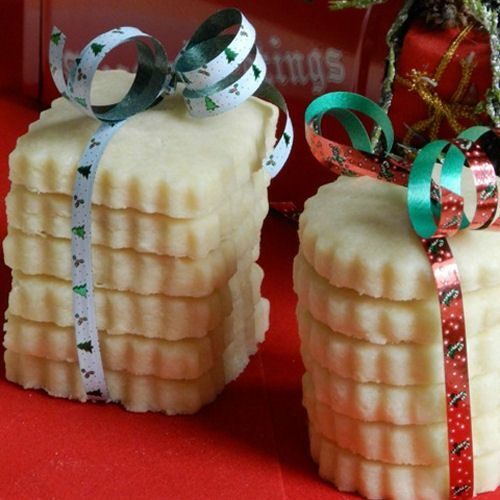 For instance, here are a dozen ways (found on www.babble.com) to personalize a simple batch of shortbread cookie dough. From sweet to savory, plain to complex, all these ideas are utterly delicious and exceptional additions to your holiday baking repertoire. Whip butter until fluffy. Stir in confectioners’ sugar, cornstarch, and flour. Beat on low for one minute, then on high for 3 to 4 minutes. Drop by spoonfuls 2-inches apart on an ungreased cookie sheet. Or fill a buttered and patterned shortbread pan with dough. Press dough to corners of pan to be sure all dough fills all spaces. Bake for 10 to 13 minutes. Watch that the edges don’t brown too much. Cool on wire rack. Next, let’s look at equipment. 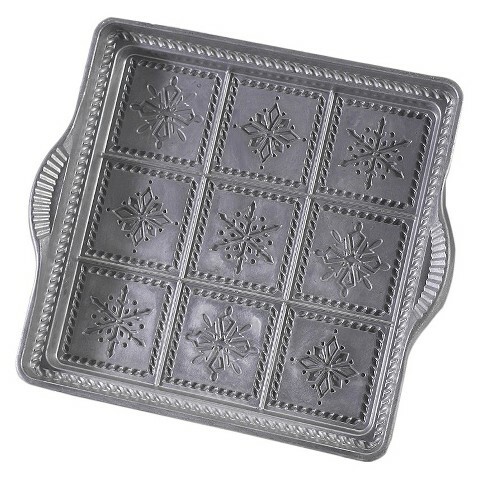 If you like making shortbread, you might consider using a shortbread pan. My favorite is made by Nordicware, and runs around $23. It’s more than worth the cost. The cookies from this pan always come out perfect. 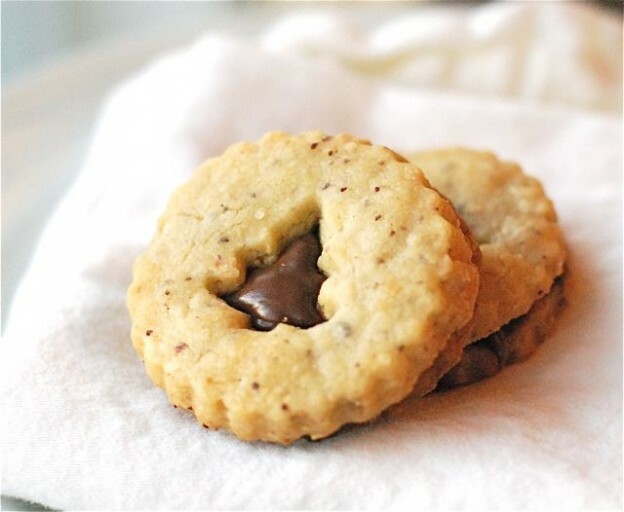 This pretty cookie is simply shortbread sandwiched with chocolate hazelnut spread. Either press dough into a shortbread pan or press it out flat onto a baking sheet (about 1/8-inch thick). Cover pan and refrigerate dough for an hour or more. The picture shows cookie rounds, but I found this easier to create by making squares (my shortbread pan turns out square cookies). When ready to bake, score dough with a chef’s knife to create squares and then use a small cookie cutter or bottle lid to cut out windows in half the squares before baking. After baked cookies have cooled, spread Nutella on those without cutouts. Place a cut-out cookie on top each of these. They’re not just pretty, they’re delicious. And what would the holidays be without classic shortbread balls? 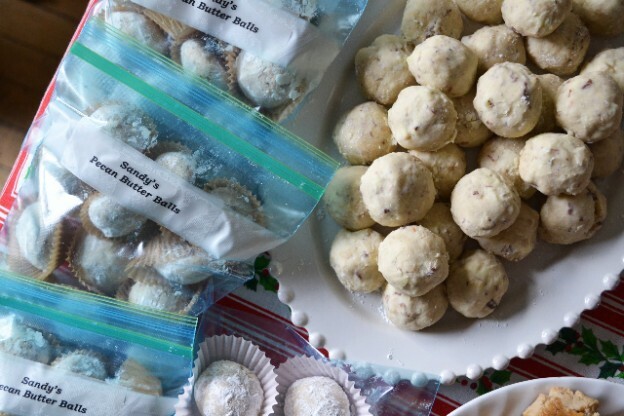 Those pictured are pecan butter balls. 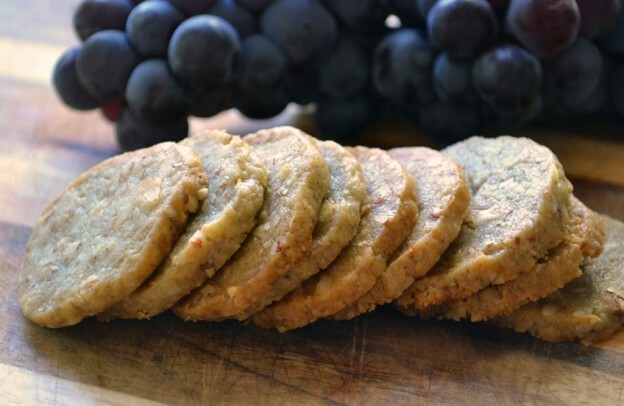 But whatever finely chopped nut you add to your favorite shortbread recipe, these are divine. 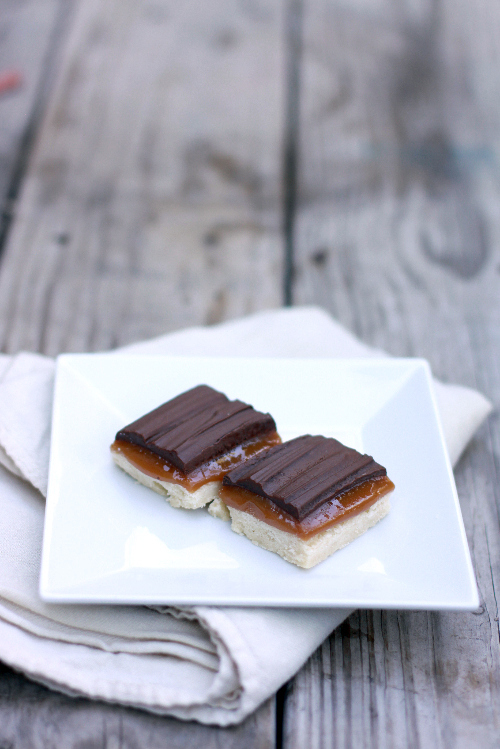 Shortbread layered with caramel and chocolate. Can it get more heavenly? Yes, with a lacing of sea salt. Create this from your favorite shortbread recipe, OR use your favorite store-bought shortbread cookie. I melt Kraft caramels and pour this (slightly cooled) over my cookies. After this layer completely cools, I pour melted semi-sweet chocolate chips (thinned with a smidge of milk or cream) over the caramel layer. Sprinkle sea salt over the chocolate layer and let cookies cool completely before serving. 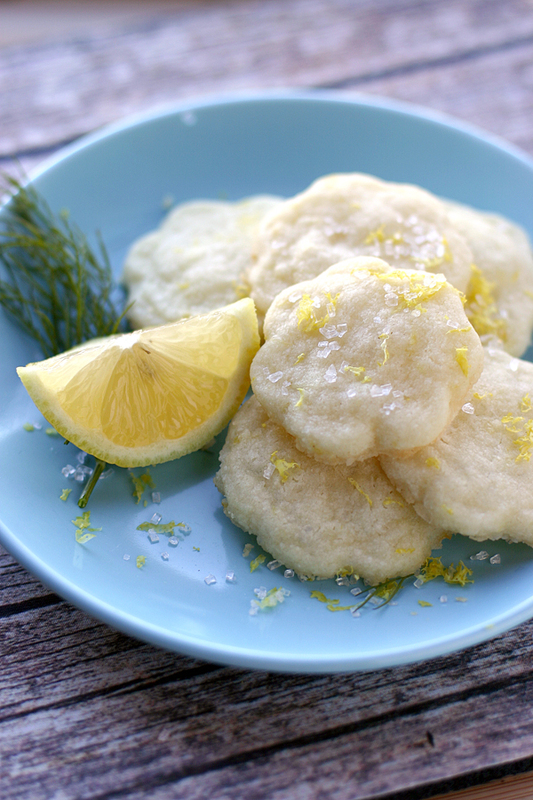 If you love lemon, then this is the shortbread for you. When preparing your dough, simply add 1 teaspoon lemon extract and 1 tablespoon of lemon zest. Reserve extra zest to decorate baked cookies. Beat the butter and blue cheese until blended (don’t worry about lumps of cheese); add the flour and pecans or walnuts. Shape into a log, wrap in parchment or plastic wrap and refrigerate until firm or freeze for up to 6 months. To bake, slice 1/4-inch thick and bake on an ungreased baking sheet at 350°F for 10 minutes, or until pale golden around the edges.